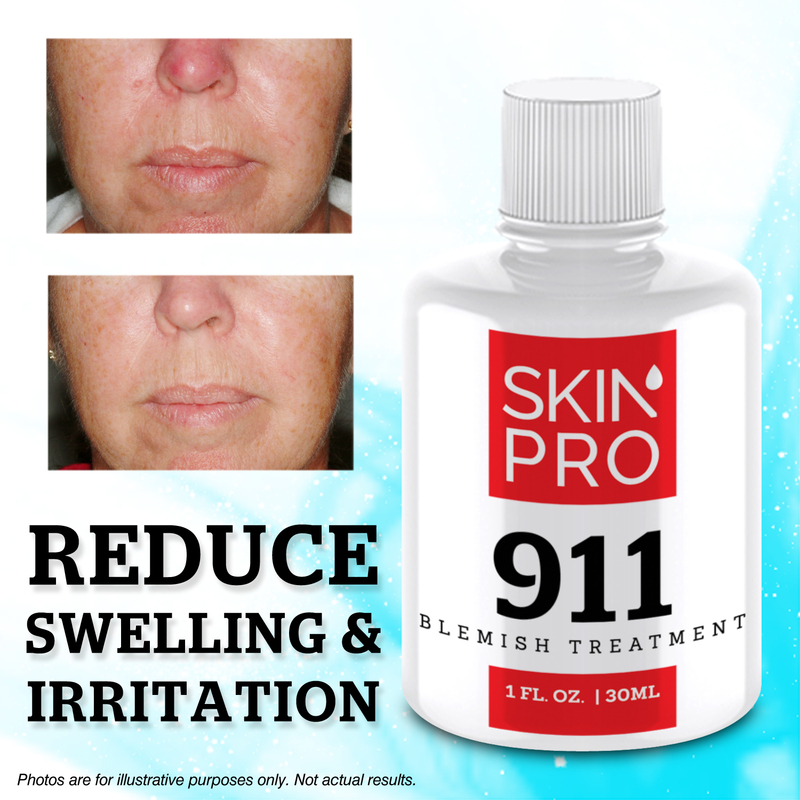 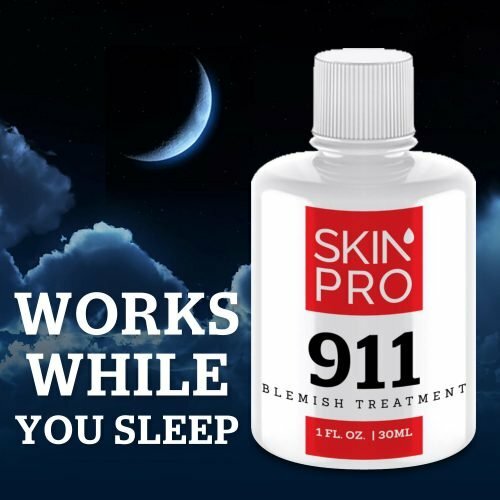 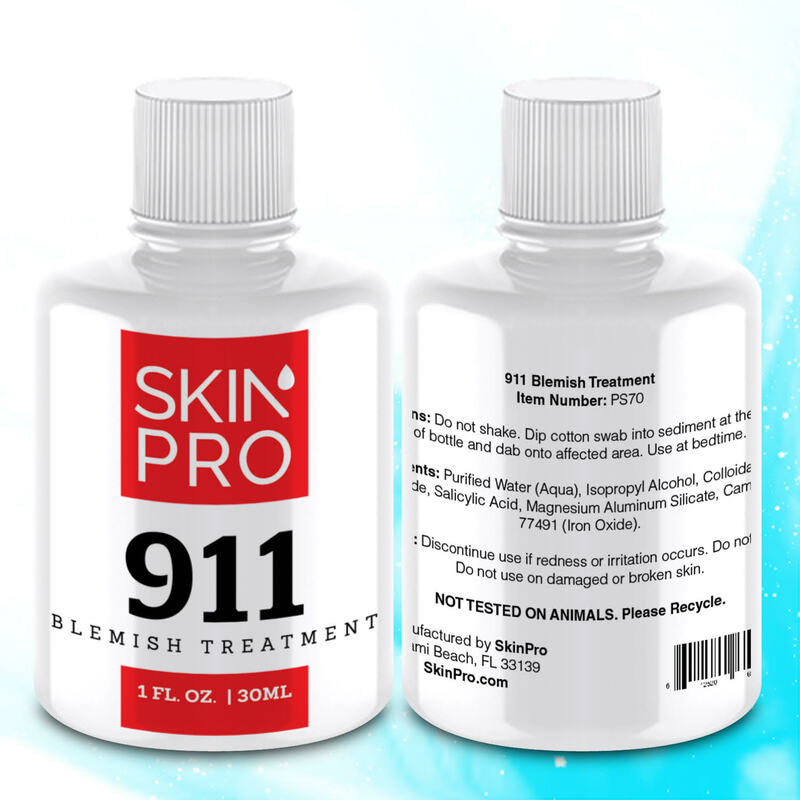 If you are suffering from an unsightly bout of acne or other blemishes on your face and wanting to get rid of it fast, the SkinPro Blemish 911 Treatment is the fastest working acne repair treatment on the market. 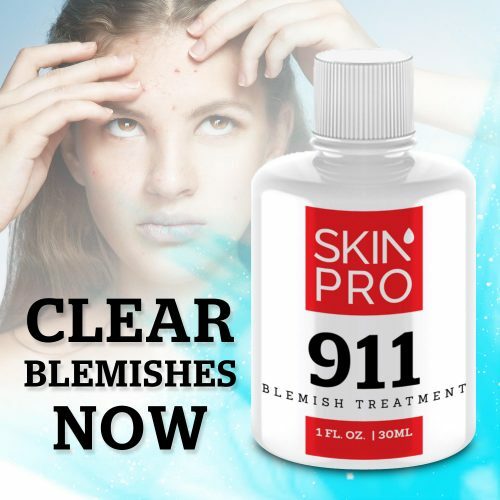 Remove acne in just minutes with our proprietary formula, an award-winner at a leading skin care product website when tested against other similar products. 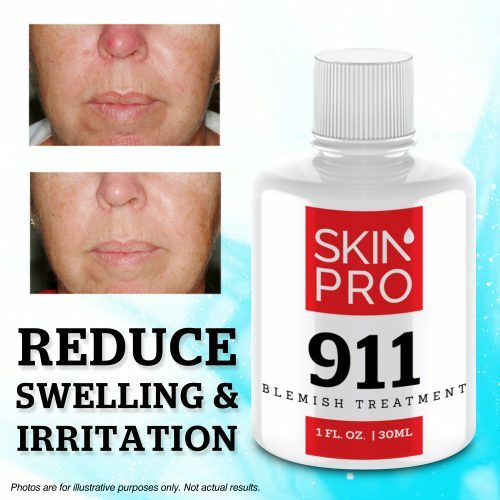 This solution contains a medical-grade, high concentration of salicylic acid to dilute and reduce the oils that build up on the skin’s pores, reducing the swelling and irritation caused by excessive oil clogging. With as little as a single application, acne can be removed overnight, making it perfect for anyone looking for a quick touch-up when an unsightly blemish arises. 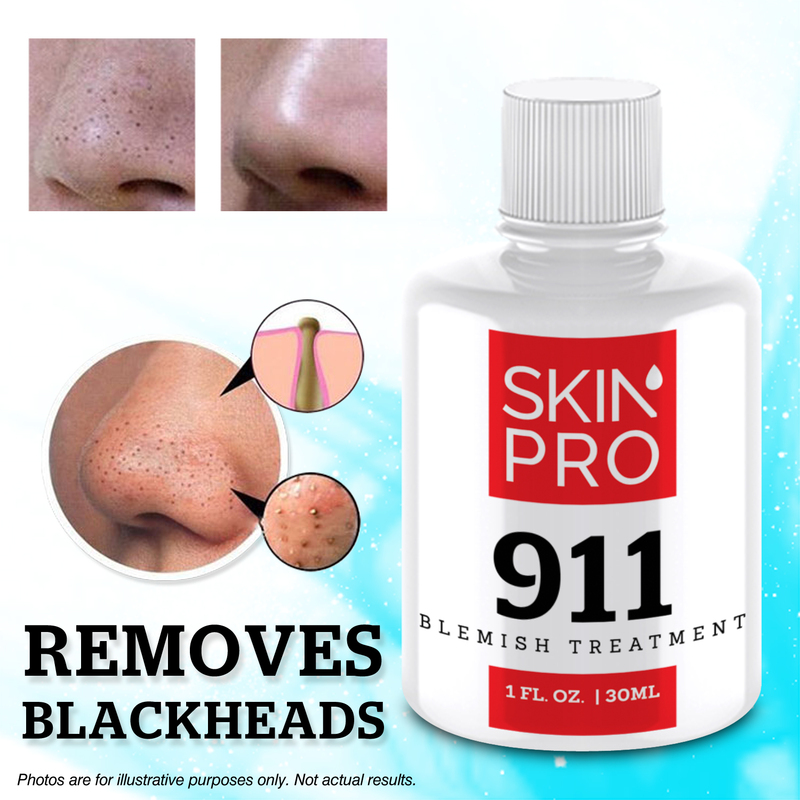 The blackhead extracting properties in this solution target dirt and excess oils as well as absorb sebum, all contributing to the loosening of blackheads and unclogging pores. 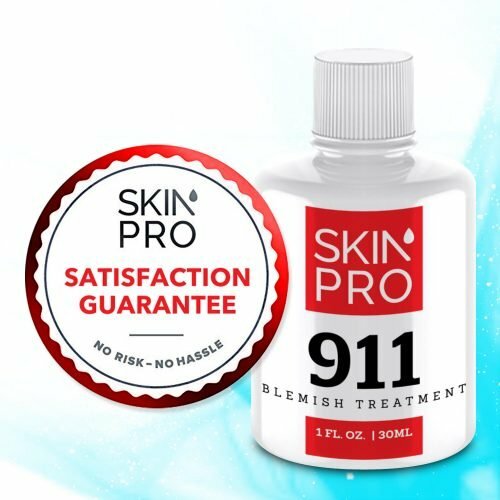 This solution also contains a high concentration of zinc oxide to exfoliate the skin and soften the texture to tighten pores, as well as reduce the inflammatory response to skin bacteria. Apply in the evening (recommended just before bedtime). Dip Q-tip into sediment at the bottom of bottle. Purified Water, Glycerin, Acetyl Glutamine, Lecithin, sh-Oligopeptide1, sh-Oligopeptide2, sh-Polypeptide1, sh-Polypeptide9, sh-Polypeptide11, Bacillus/Soybean/Folic Acid Ferment Extract, 3-Aminopropane Sulfonic Acid, Calcium Hydroxymetionine, Acetyl Hexapeptide-30, Acetyl Hexapeptide-8, Sodium Hyaluronate, Ammonium Acryloyldimethyltauerate/VP Copolymer, Caprylyl Glycol, Polysorbate-20, Pentylene Glycol, Butylene Glycol, 1,2-Hexanediol, Arginine, Hydroxyethylcellulose, Phenoxyethanol, Ethlyhexyglycerin, Potassium Sorbate.